Eating unhealthy treats when on diet isn’t a bad thing. But what if you could eat those more often without ruining your results? Well, there are always healthier alternatives that will get you the feel and even the taste of your favorite unhealthy meal at lower calories. Burgers are great but the buns made of white refined flour and all that mayonnaise can’t be good when eaten on a regular basis. Since burger buns can come at around 200 cals and here are some great and interesting burger bun alternatives that aren’t only low calorie but also contain low amounts of carbs. 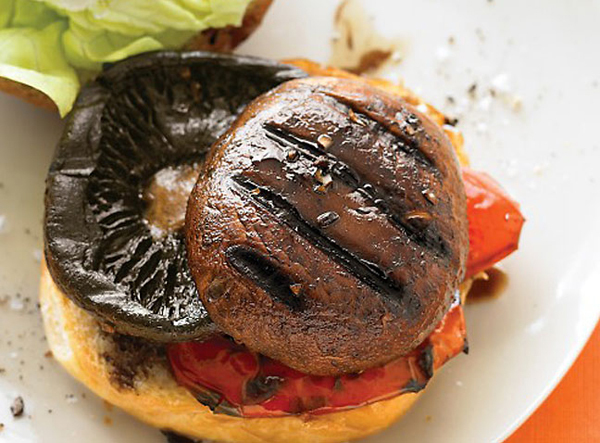 20 calories, 3 grams of carbs and 3 grams of protein as a bonus point, what’s not to love about portobello mushrooms? Grill your portobello mushrooms and fill them with lean beef or chicken patty, Greek yogurt or light cream cheese, and fresh veggies. Sweet potato is a healthy diet staple right now. 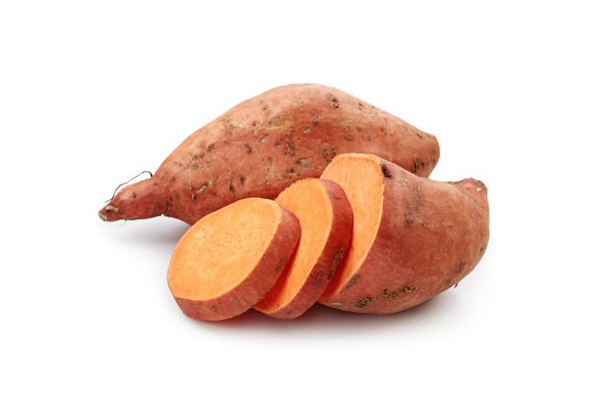 One ounce of sweet potato is 24 calories with 5.9 grams of protein and almost half a gram protein. 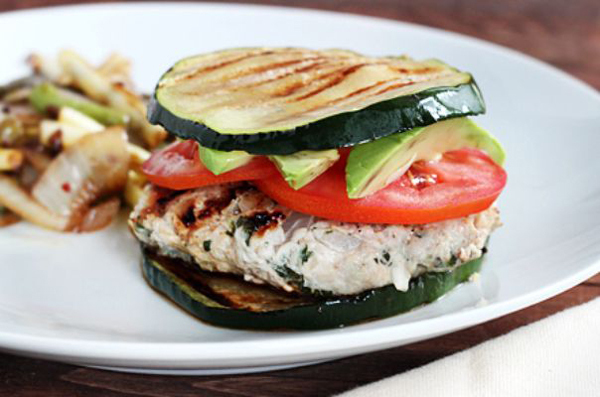 Choose a large round potato to cover your patty and roast it without adding fat for a lean healthy burger. Eggplants are great if you like its buttery taste. A cooked slice will come at 36 calories and will add great flavor to your burger. A skinny pal of eggplant zuchinni will have a far more neutral taste and fewer calories. 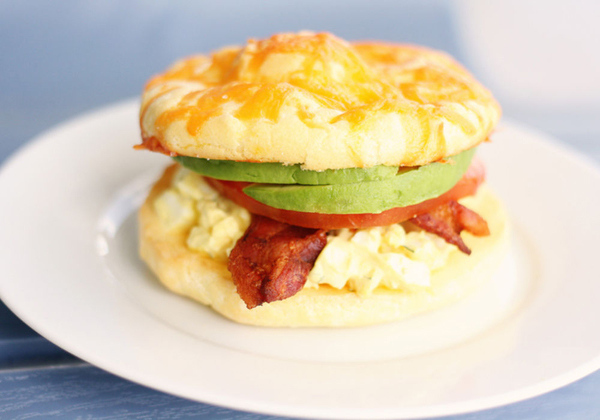 Cloud bread is a life-saver for those who love bread but has to eat low-carb diet. Made of eggs and cream cheese it comes at 30-50 cals per round and contains about 1 gram of carbohydrates and almost 4-5 grams of protein. 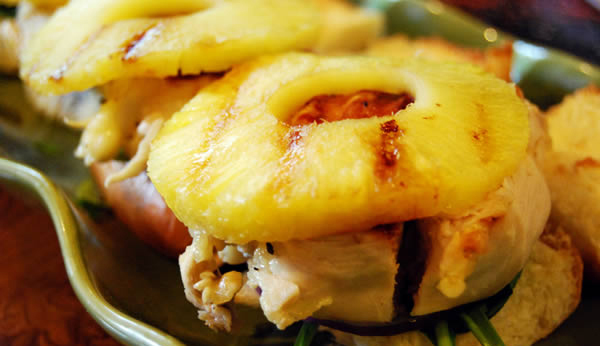 If you like interesting taste combinations then you might want to try fresh pineapple slices as burger bun. Though higher in carbs two 2 oz slices of raw pinapple will come only at 56 calories (15 g carbs) and will add a fresh touch to your burger. You can also make patties out of different veggies and use them as burger buns but choose your burger fillings wisely too. Opt for lean grind meat for patties, fresh veggies, and homemade sauces. And if you want to roll up your burger and turn it into a wrap, here are some great healthy alternatives to flour tortilla. Also you can skip the bun altogether and enjoy a nice lean patty with fresh veggies on a plate of lettuce, salad leaves, chard, or kale. This entry was posted in Nutrition and tagged diet, healthy foods, low-calorie foods, low-carb diet. Bookmark the permalink.